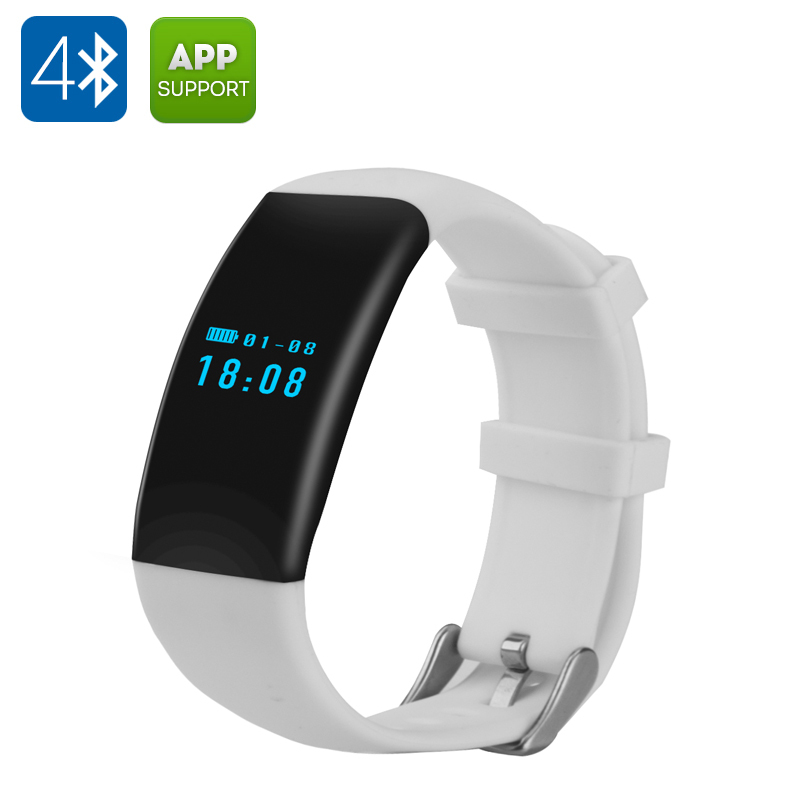 Successfully Added DFit Smart Sports Bracelet - IP66, Bluetooth 4.0, Sports Tracking, Sleep Monitor, Apps for iOS + Android (White) to your Shopping Cart. Stay fit, healthy and never miss an important call with the DFit Smart Sports Bracelet, coming with IP66 waterproof rating, Bluetooth 4.0 and a cool set of features to help you during workouts. The DFit Smart Sports Bracelet is a stylish lightweight accessory that will be your trusted companion through even the toughest workout routine, providing important data and feedback about your health. It comes with a heart rate monitor to help you keep track of how your body reacts to exercise and give you an overall picture of your health. You will also have a pedometer to motivate you to be more active throughout the day and give you and a sleep monitor to make sure you get a good night’s sleep at the end of the busy day. The smart bracelet is compatible with both iOS and Andoroid and you will find a handy app by the name of Hplus at the App Store or Play Store. The smart sports wristband is dust tight and waterproof – coming with IP66 waterproof rating. So, if you enjoy jogging in the rain, go right ahead and leave the bracelet on. Sync the DFit Smart Sports Bracelet to your smartphone and it will also send you call notifications, so that you don’t miss an important call during your workout. The smart bracelet comes with 0.66 inch OLED display and an 80mAh battery, allowing for up to 5 whole days on standby.